London: An Indian-origin scientist based in Germany has done research alongside international experts which has offered hope for more effective malaria therapy. 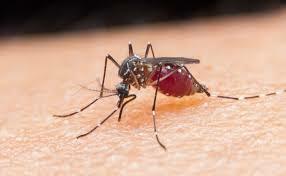 The research was successful to find the reason behind the faster movement of the malaria-causing parasite in humans. Dr Prajwal Nandekar joined Dr Ross Douglas and other team members involved for a new collaborative study by scientists from the Center for Molecular Biology (ZMBH) and the Heidelberg Institute for Theoretical Studies (HITS) and Heidelberg University Clinic in Germany to be able conclude that the actin protein is an important factor for the faster movement of malaria-causing parasite. Malaria has caused almost 400,000 deaths worldwide and in India. The team’s research paper on the subject which was published in ‘PLoS Biology’ journal last month, explains clearly that the malaria parasite is 10 times faster than the fastest human immune cells. As a result, it becomes very difficult for immune cells to catch and kill them. Mr Nandekar, a specialist in computer-aided drug discovery who as of now works at the University of Heidelberg, and the team of scientists involved has now discovered the reason for the faster movement of these parasites by studying the actin protein. “The actin proteins and their architecture is different in parasite and humans. These differences are responsible for the faster movement of a malaria parasite. This scientific understanding has not only changed the way of dealing with the parasite but also helpful to pharmaceutical scientists to design new drugs against malaria,” Mr Nandekar explains. Primary cytoskeleton proteins are very different in malaria parasites than humans and this can be a starting point of treatment against malaria infections and new anti-malarial drug design research. Mr Nandekar adds: “Many actin proteins assemble together in a special arrangement and form a long rope-like structure. This particular arrangement is responsible for the faster movement of malaria parasites, which is different in human cells and is important for proper cell functioning, such as in muscle cells – this enables proper movement. In the latest research, partly funded by the Heidelberg University Frontiers funds, made highly successful use of a high-performance supercomputer facility at HITS and Heidelberg University.